President Donald Trump called Alaska Gov. Bill Walker four times on Friday. The fourth time, Walker talked to him. “I received a couple of calls from the White House on the Blackhawk (helicopter). It was not conducive to a conversation,” Walker said during an evening press conference. After surveying the damage from Friday’s magnitude 7.0 earthquake from the air, Walker landed and was able to talk to the president by phone. He asked the president for a federal disaster declaration. Fifteen minutes later, Walker received a call from Federal Emergency Management Agency Director Brock Long, who said it had been signed. “It opens up funding, it opens up opportunities to contract a little differently, a little more expeditiously in spending that money, and to be able to respond to the needs as to what’s taken place,” Walker said. Walker said the disaster declaration did not specify a particular amount of aid but said it will support reconstruction. The governor said he has also been in contact with the secretaries of transportation and Homeland Security. Gov.-elect Mike Dunleavy responded to the earthquake at the state’s emergency operations center on Joint Base Elmendorf-Richardson. Walker said he kept the incoming governor in the loop with regard to the state’s emergency response, something confirmed in a press release by the Dunleavy administration late Friday. Both men said that disaster recovery will not be interrupted by the transfer of executive authority on Monday, when Dunleavy is scheduled to be sworn into office in the northwest Alaska village of Noorvik. In Washington D.C., Sen. Lisa Murkowski, Sen. Dan Sullivan and Rep. Don Young all received briefings on the disaster from Long, and each offered a statements by email and in a press conference held in the Capitol. “Alaskans are incredibly resilient, but that doesn’t mean that when you’re hit with something of this intensity it doesn’t have a substantial and devastating impact. The message I want to convey to friends, family, and Alaskans across the state is that we are on top of this,” Murkowski said in a prepared statement. “We have already received serious commitments from the leadership of the federal government – the President, Vice President, the FEMA Administrator, Secretary of Transportation and on down the line. 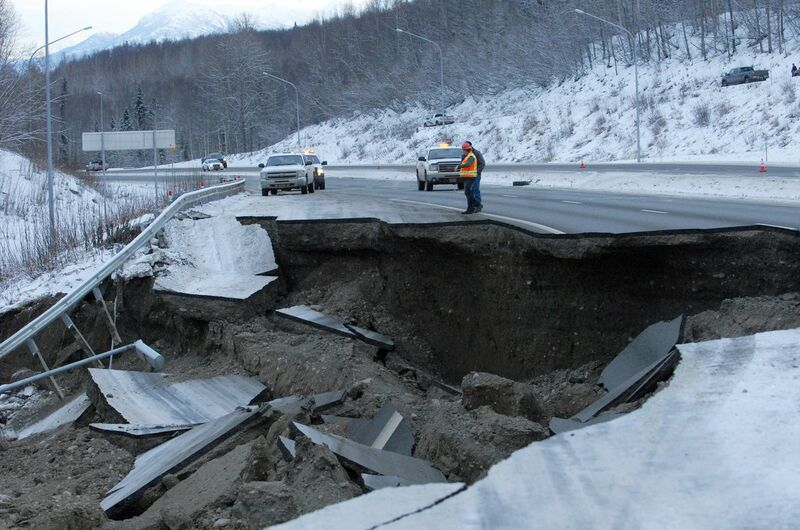 As Alaskans begin the long road to recovery, we are focused on making sure every element of federal power, authority and funding is brought to bear on getting Alaska back up and running as soon as possible,” Sullivan said in his prepared remarks. “We will continue to work together as a team to ensure federal assistance is available for Alaskans,” Young said in his statement. This story was reported by James Brooks in Juneau and Kyle Hopkins in Anchorage.